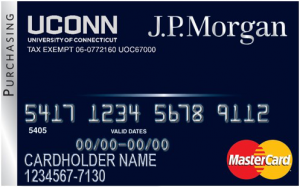 Our goal is to provide you, the current or future cardholder, secondary user, or record manager, with important information about the University of Connecticut Procurement Card Program. Feel free to send any comments or questions about the program to Nancy Patrylak, Procurement Card Program Administrator. As the program continues more information will be available to you on this webpage, so check back often. The Procurement Card User’s Manual has been updated to reflect changes to acceptable Procurement Card uses. Please click here to access the updated User’s Manual. The Procurement Card User’s Manual has been updated to reflect new procedures due to the implementation of Kuali Financial System (KFS). Please click here to access the updated User’s Manual. The Procurement Card User’s Manual has been updated to reflect new purchasing and spending limits. Please click here to access the User’s Manual.